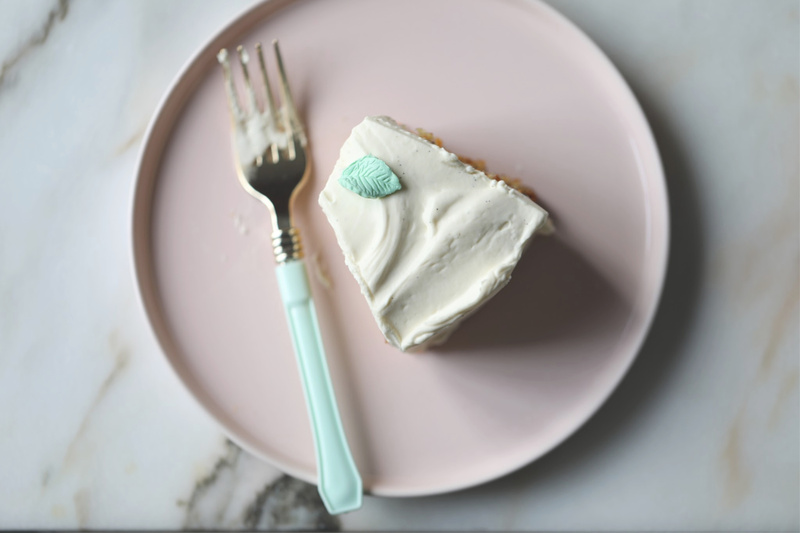 Hey you all, I hope you all had a great weekend. 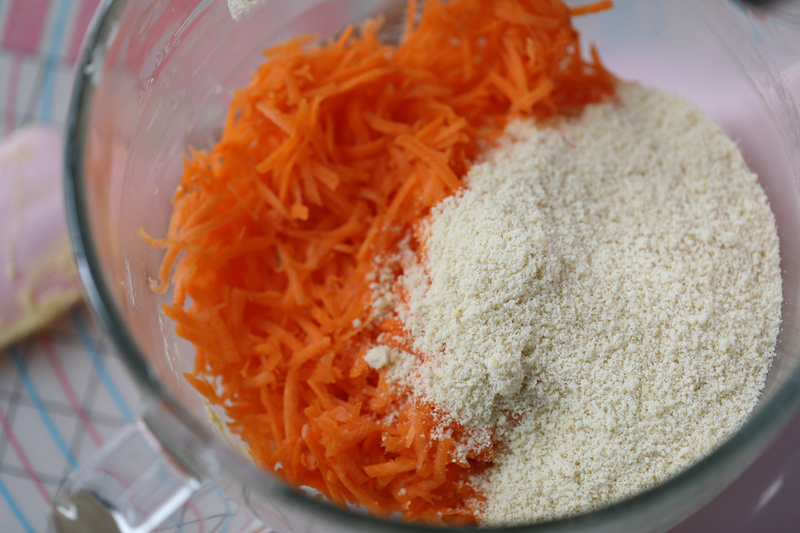 Yesterday I made a super moist carrot cake, it was so delicious. 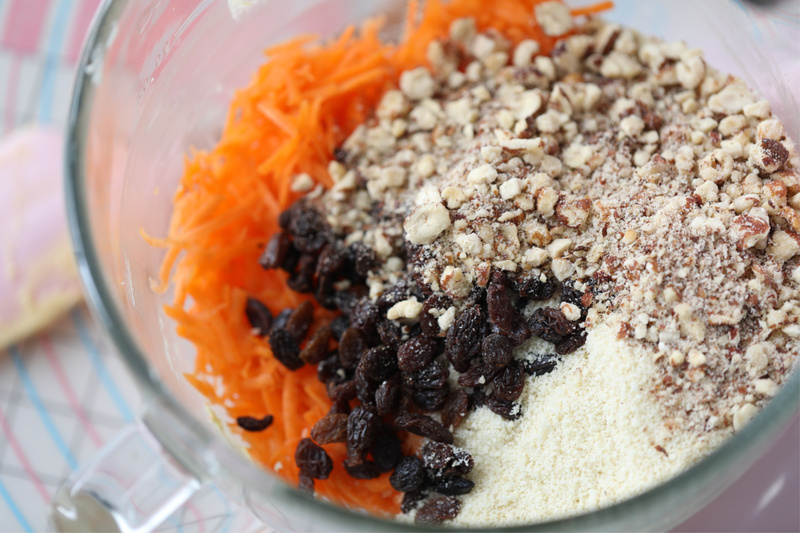 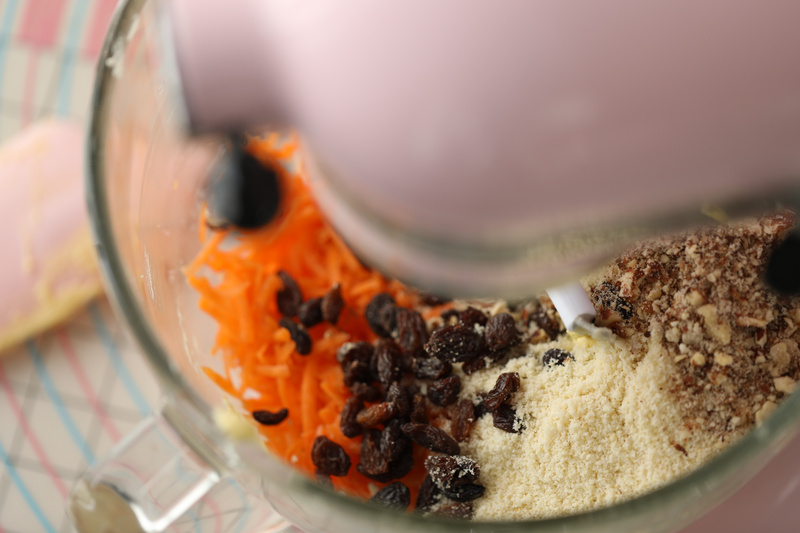 This carrot cake is made with rice flour, almond flour, hazelnuts, lots of grated carrots, raisins and other yumminess! 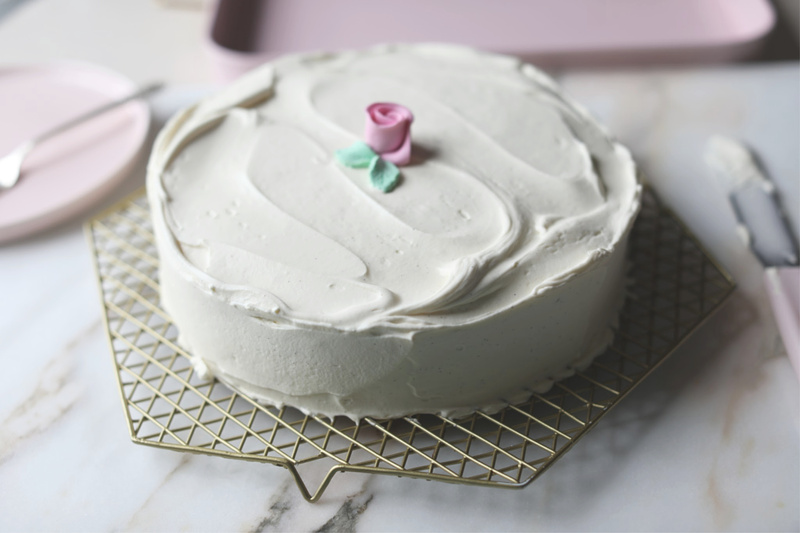 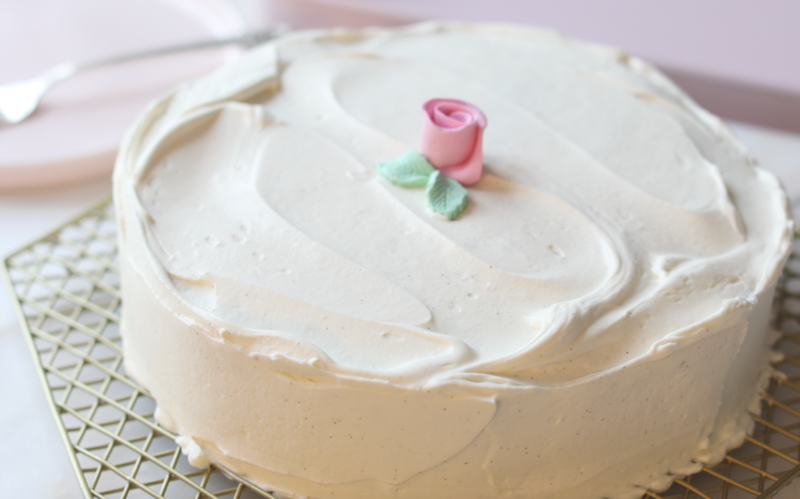 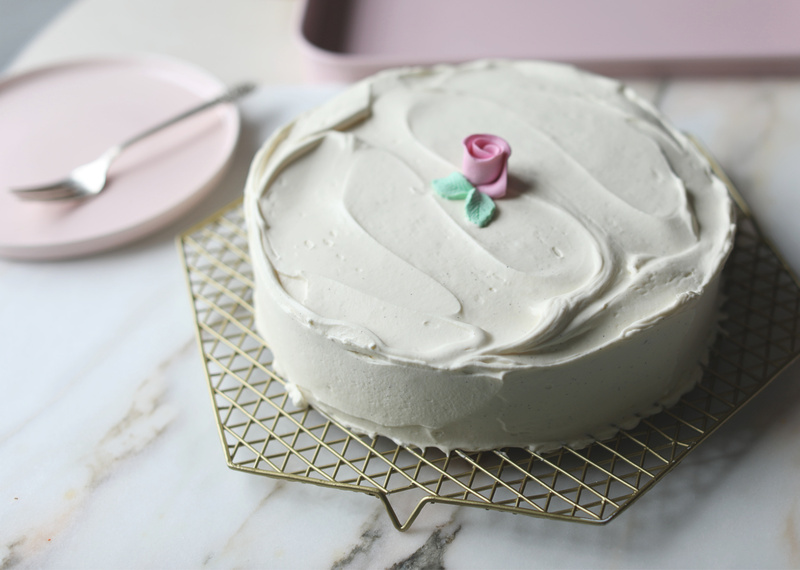 I decorated the cake very simple with some whipped mascarpone cream ( made with real vanilla beans) and a simple pink marzipan rose. 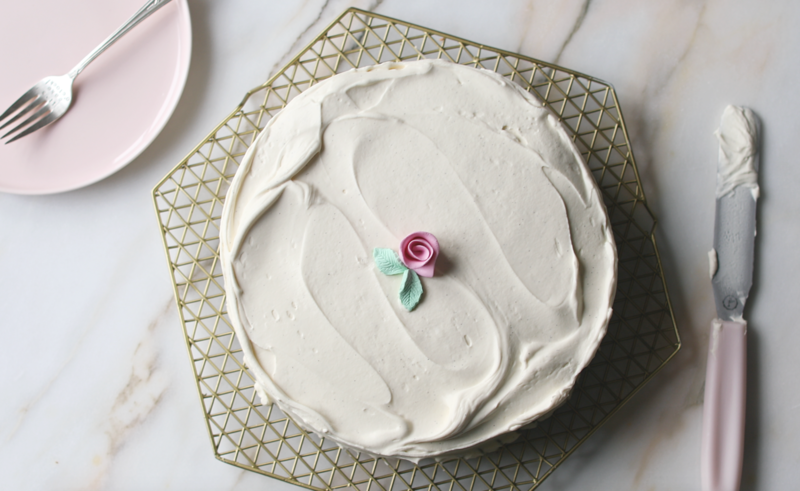 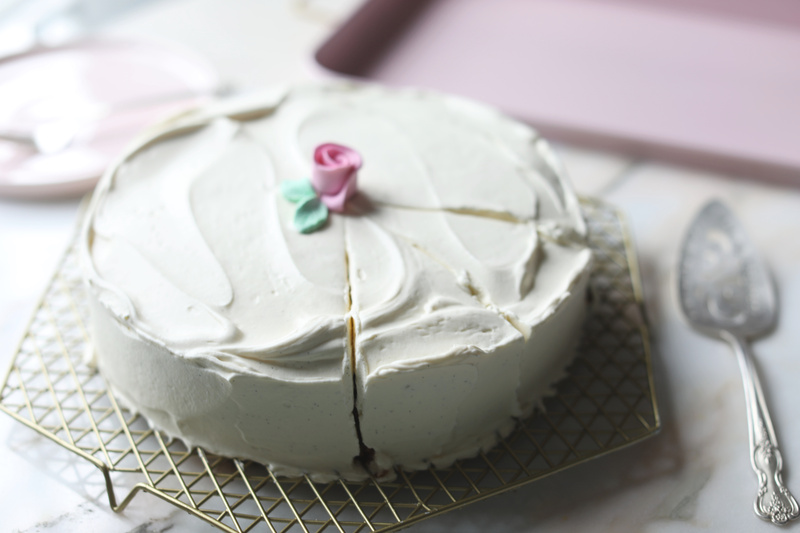 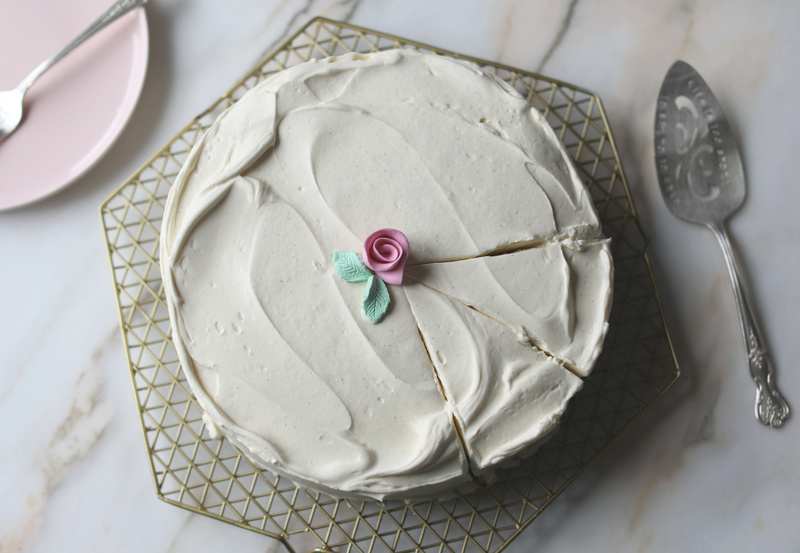 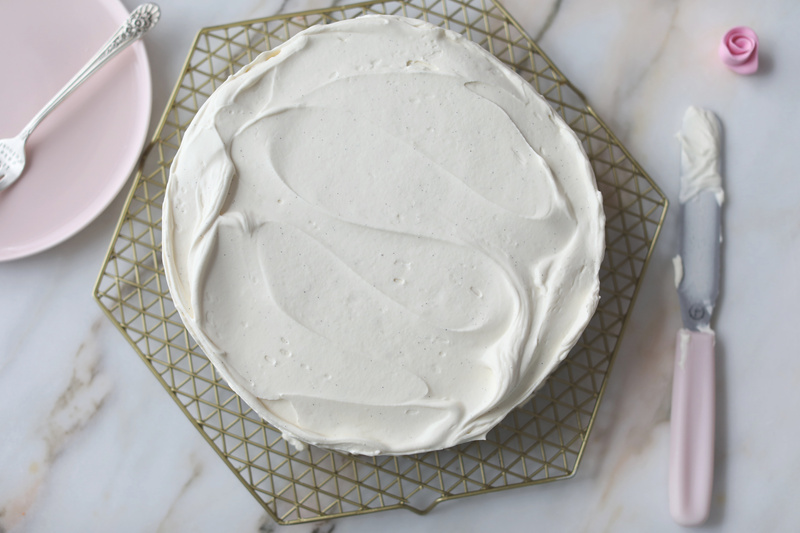 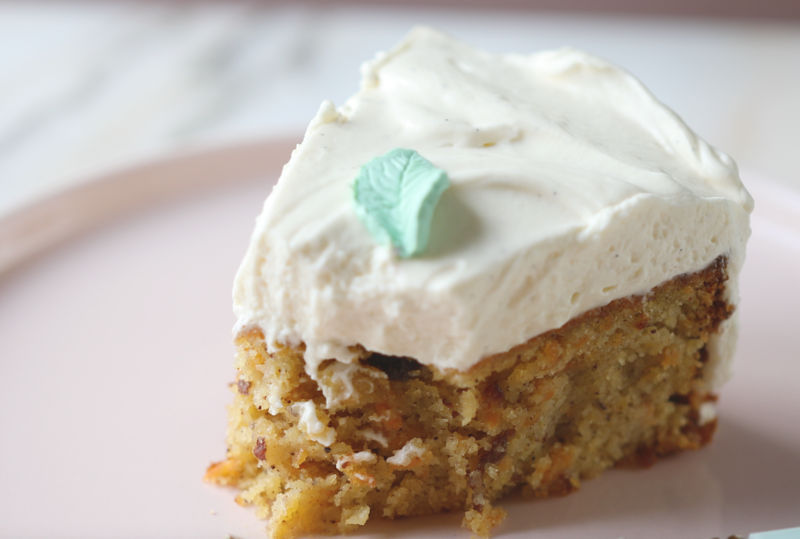 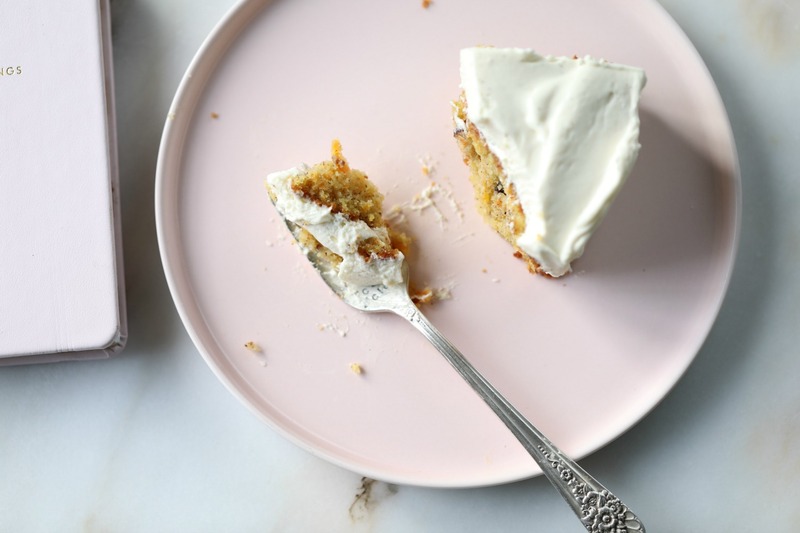 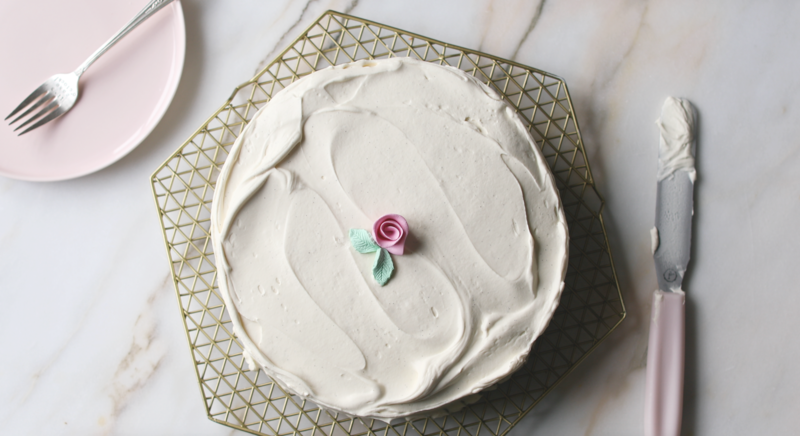 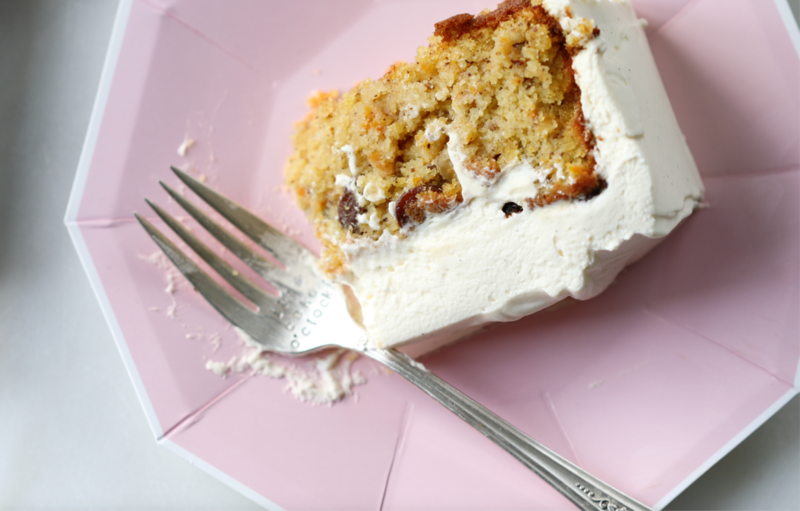 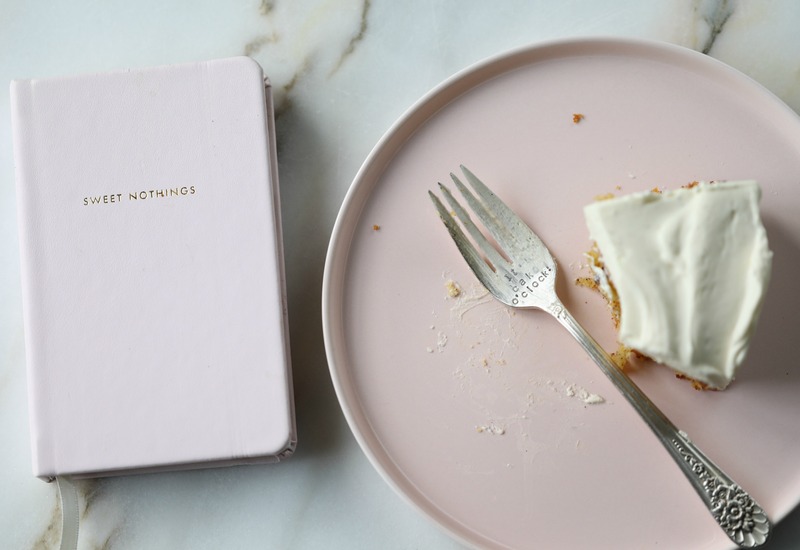 If you love a good carrot cake, try this one the next time you plan to bake a carrot cake, I think you are going to love it! 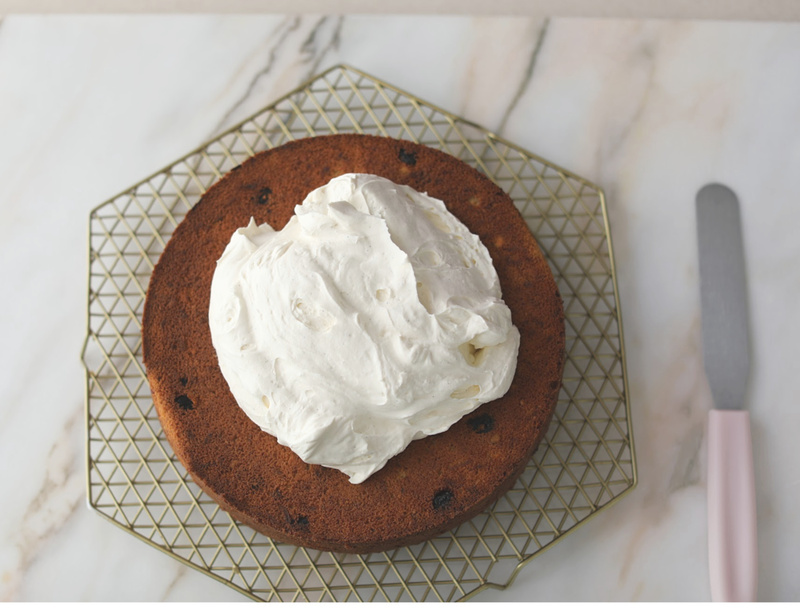 ➡️Cake: Preheat your oven to 347F°/ 175 C°, grease a 9-inch springform and line with parchment paper and set aside for now. 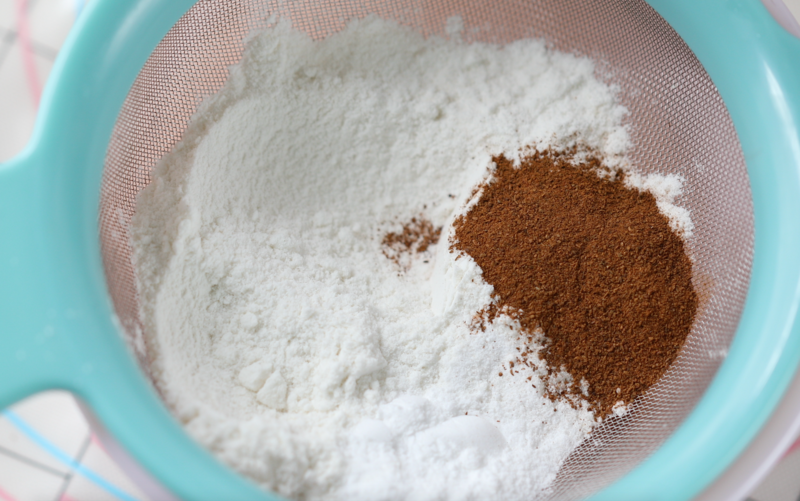 In a small bowl, sift together rice-flour, baking powder, and cinnamon and set aside for now. 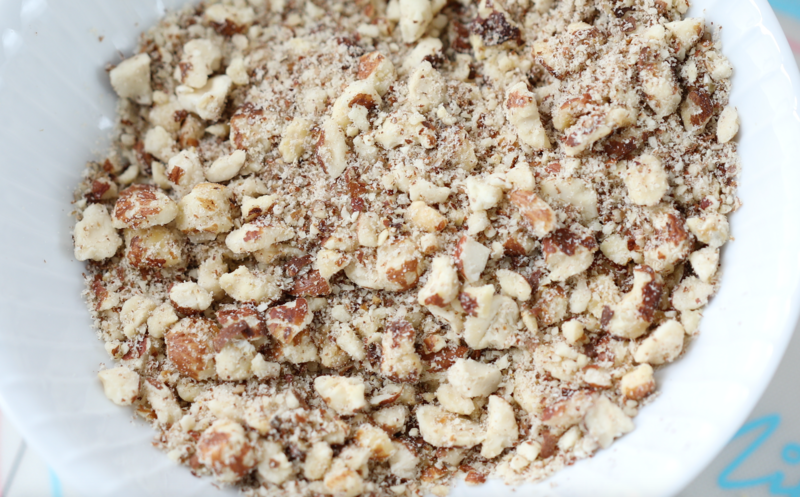 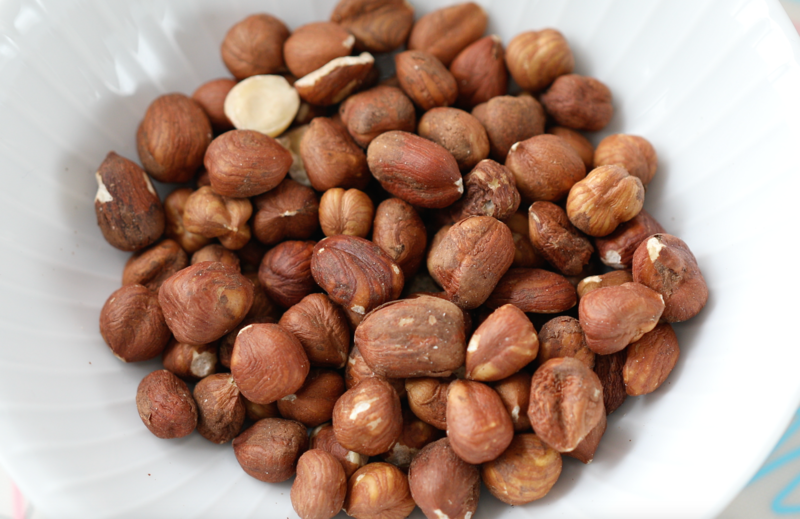 Chop your hazelnuts by hand or in your food processor until they are coarsely and set aside for now. 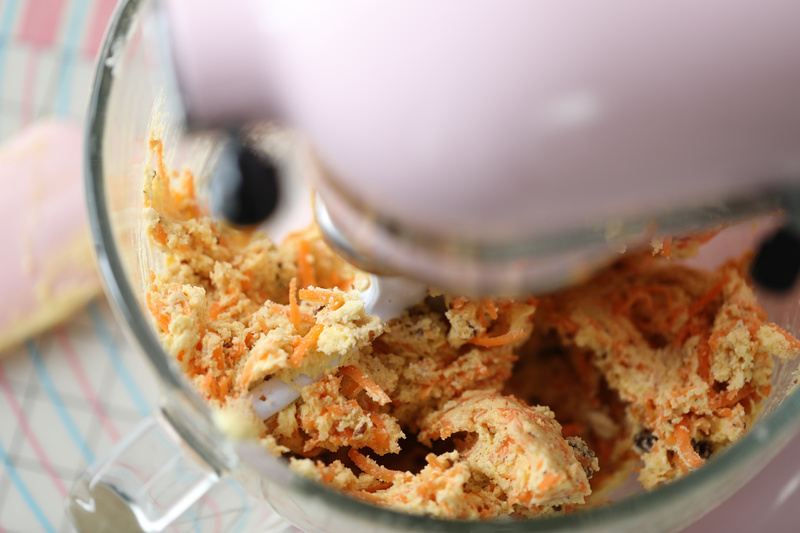 Peel, wash, and grate your carrots and set aside for now. 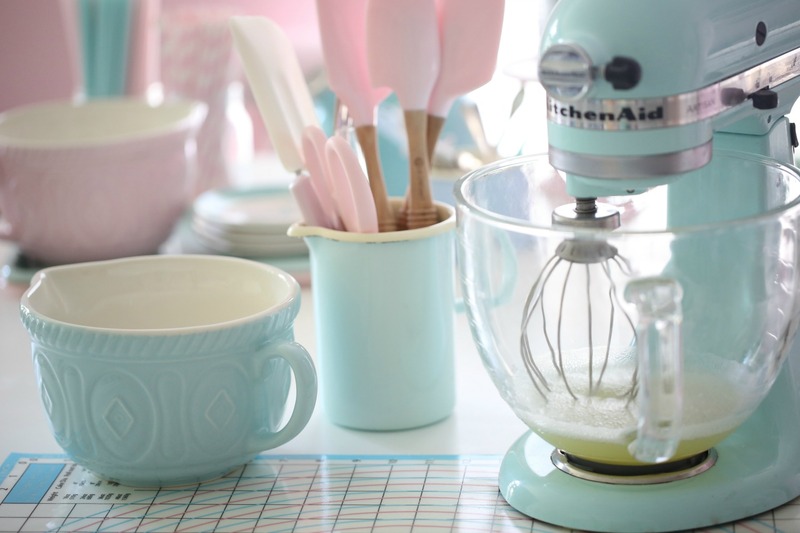 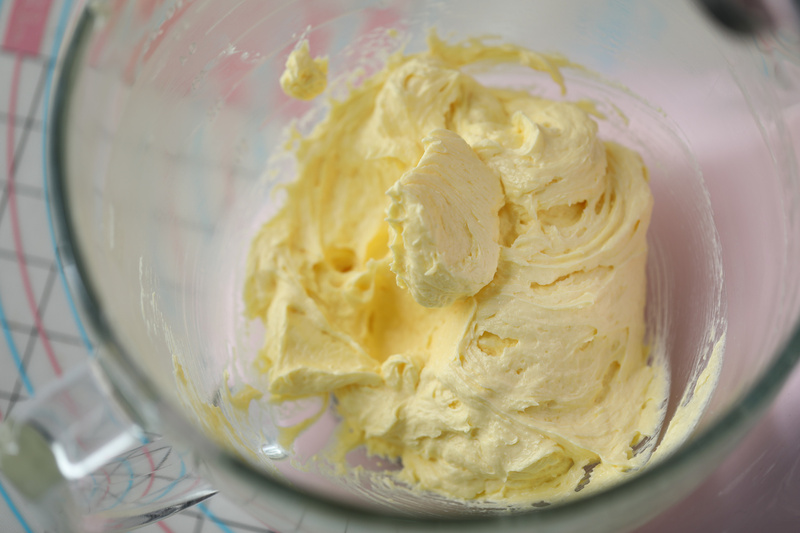 In a bowl of your stand-mixer add unsalted butter ( diced) and sugar, mix until fluffy about 5 minutes. 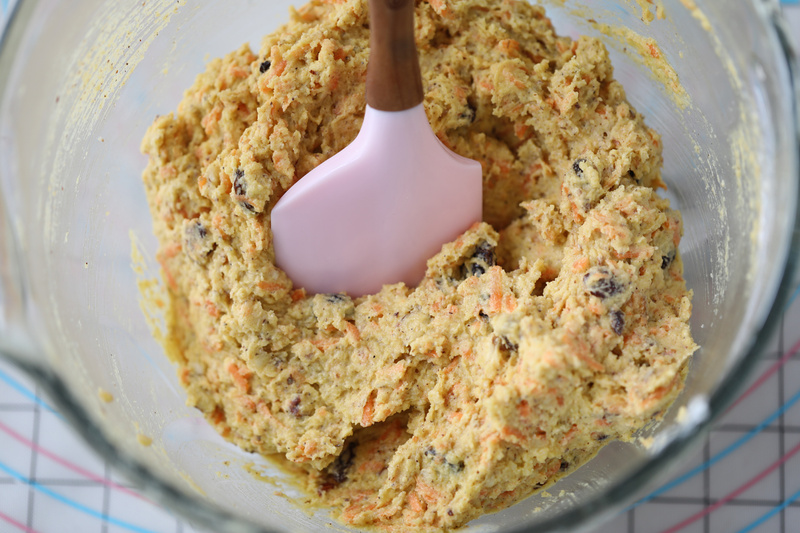 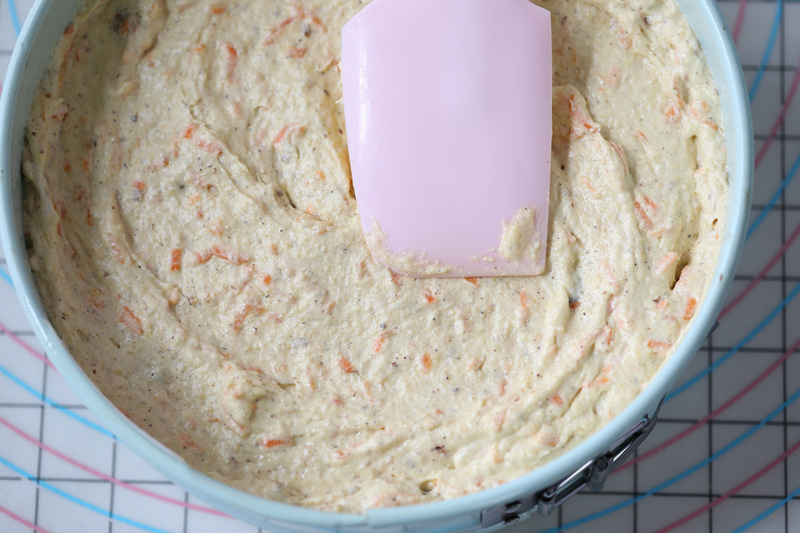 Scrape the side and bottom of the bowl, and add the grated carrots, almond flour, raisins, coarsely chopped hazelnuts, and the rice flour mixture. 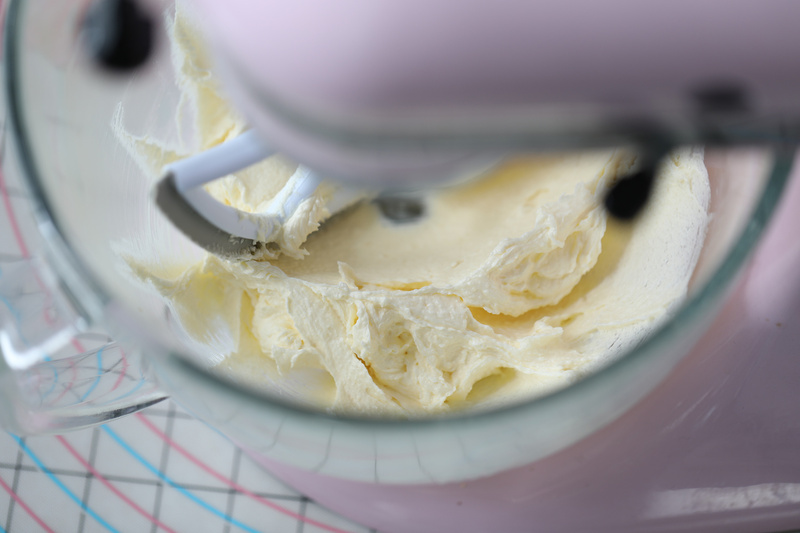 with your mixer on low, give it some puls with your mixer, about 20 seconds, Scarpe the side and bottom of your bowl and set aside for now, while you continue with the meringues mixture. 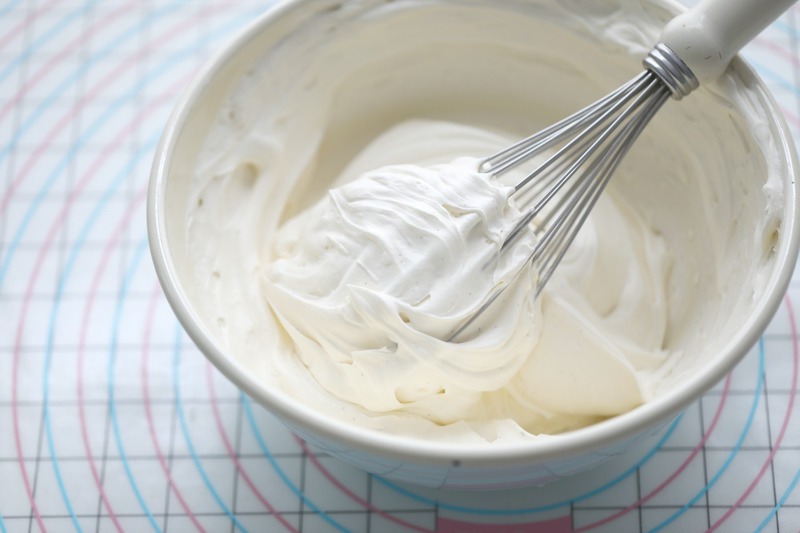 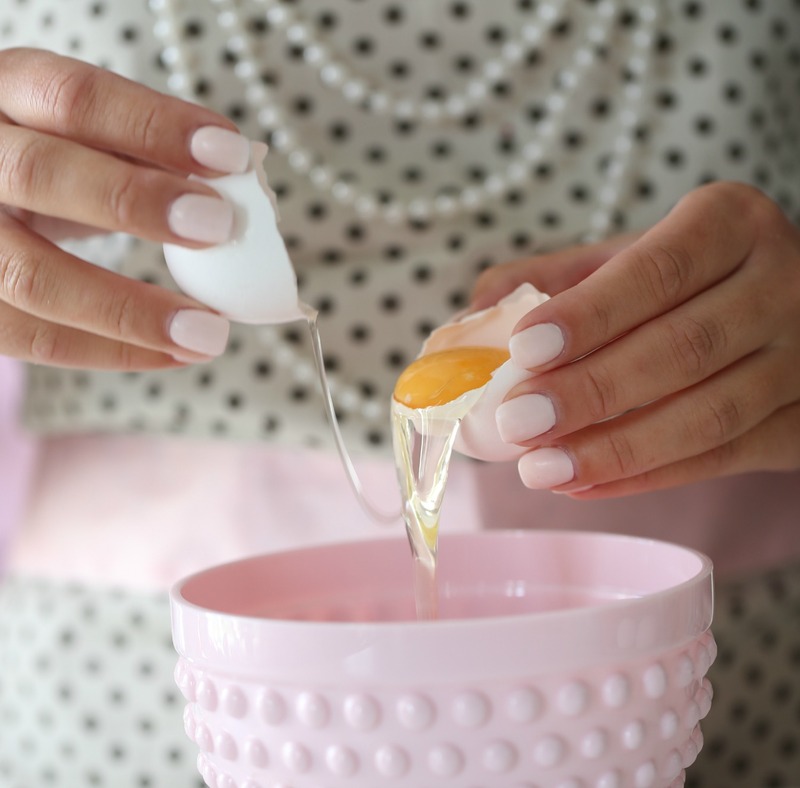 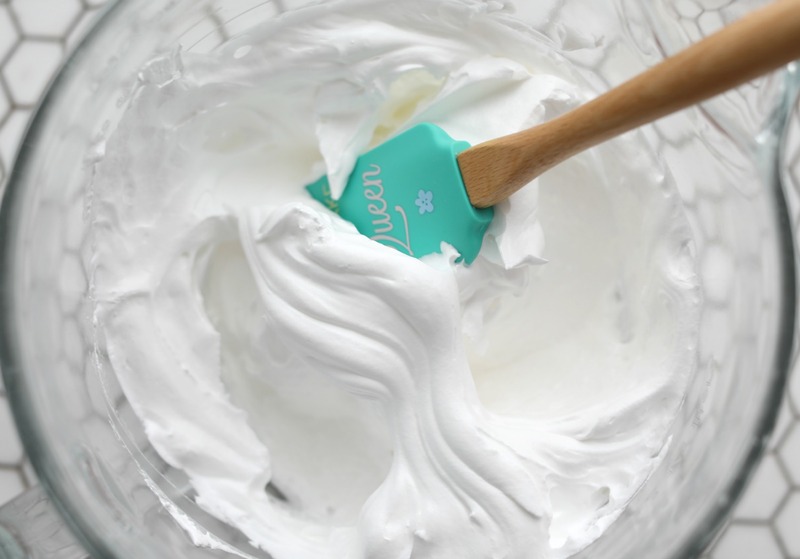 ➡️Meringues mixture: Prepare the standing mixer, by wiping the standing mixer bowl and whisk with a paper towel moistened with a little lemon juice to eliminate any trace of grease. 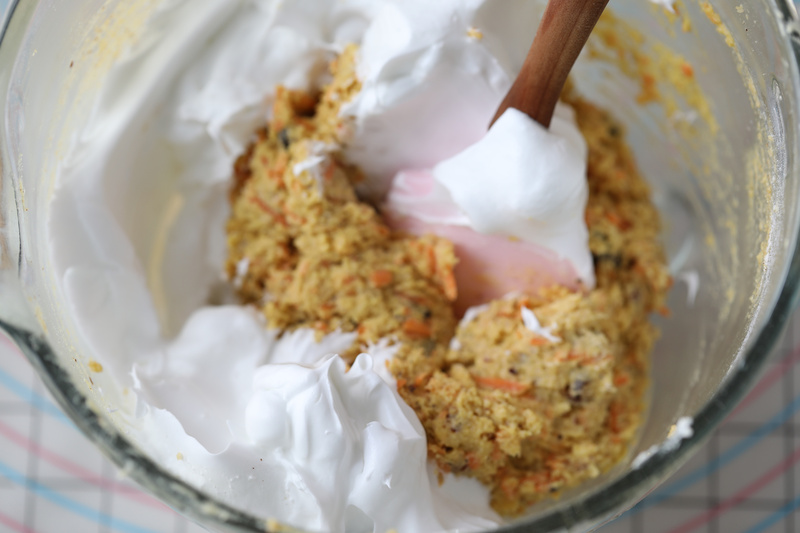 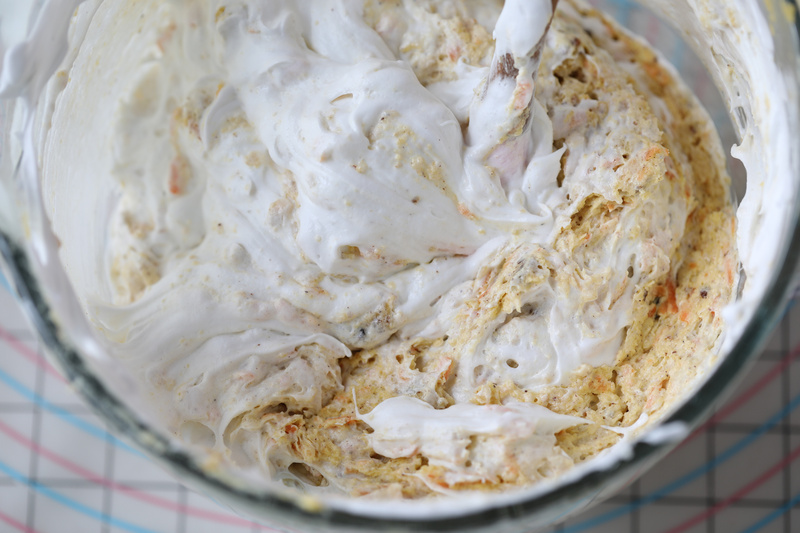 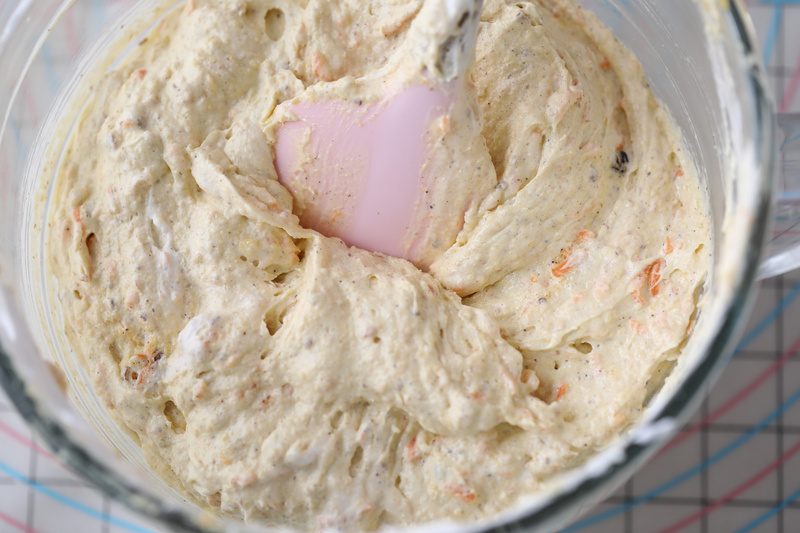 Combine the meringues mixture in 3 edition with the carrot mixture, carefully combine each time so you keep the volume of the meringues. 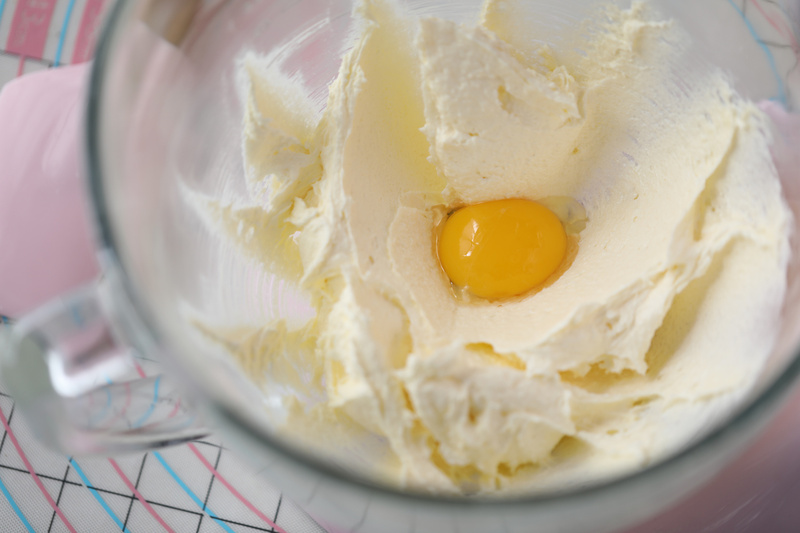 Scrape batter into your prepared pan. 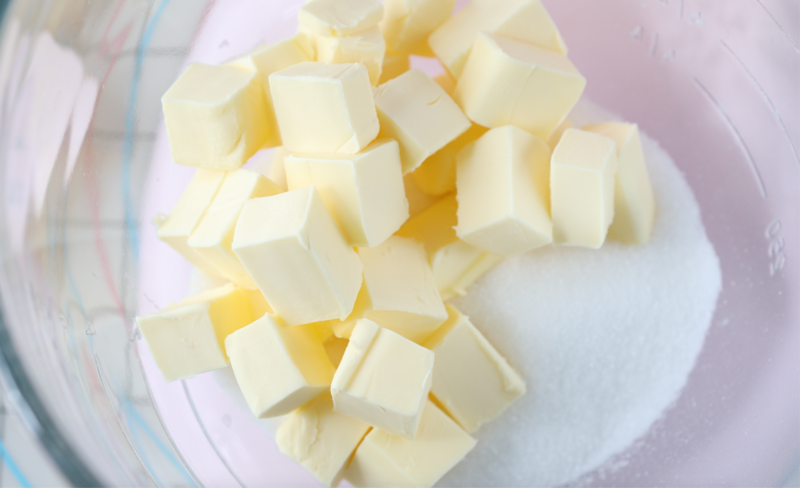 Bake in the middle of the oven on 347F°/ 175 C° until a toothpick inserted into centers comes out clean, about 45-50 minutes. 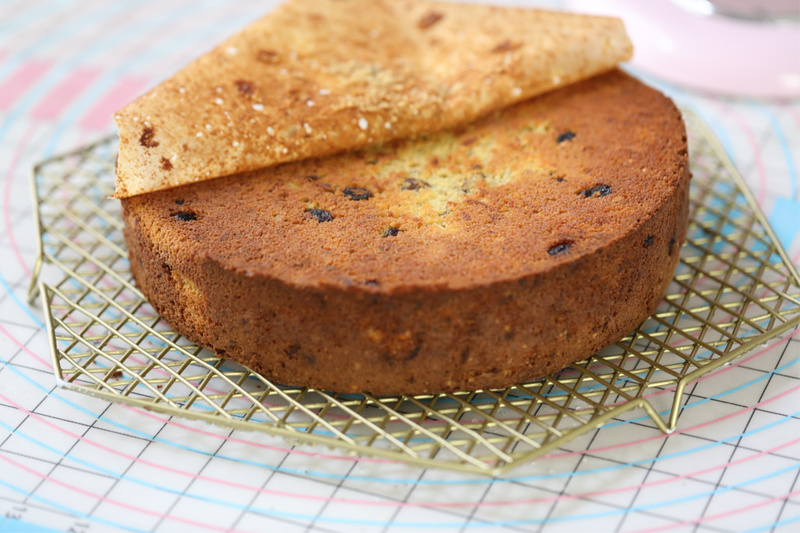 If you feel the cake is getting too brown on top after 40 minutes cover the cake with a parchment paper. 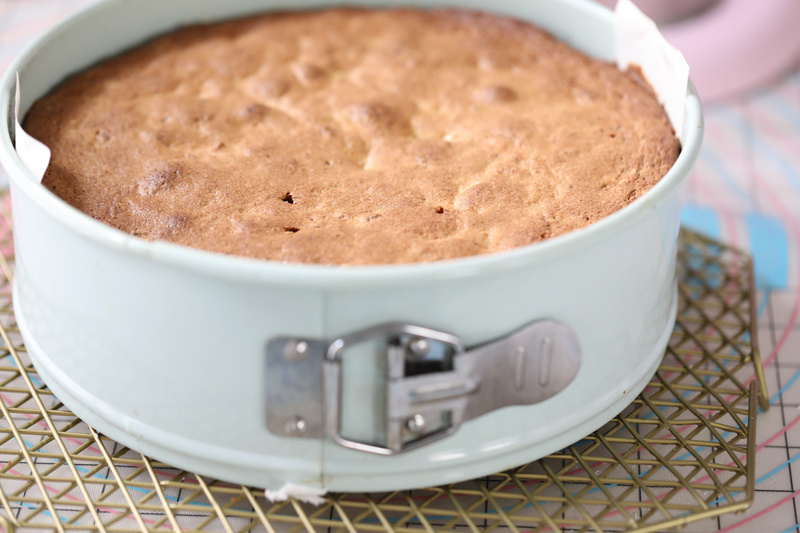 Let cool in pan on a wire rack for 10 minutes. 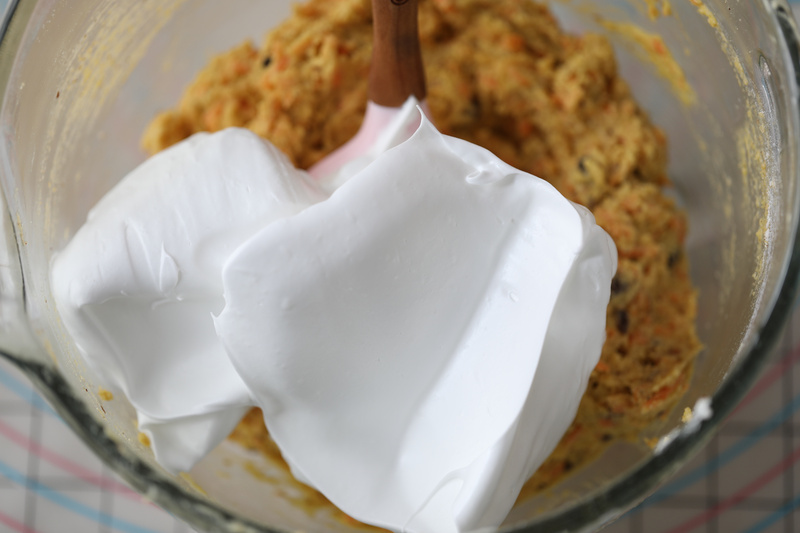 Turn out the cake onto rack, and remove the parchment paper. 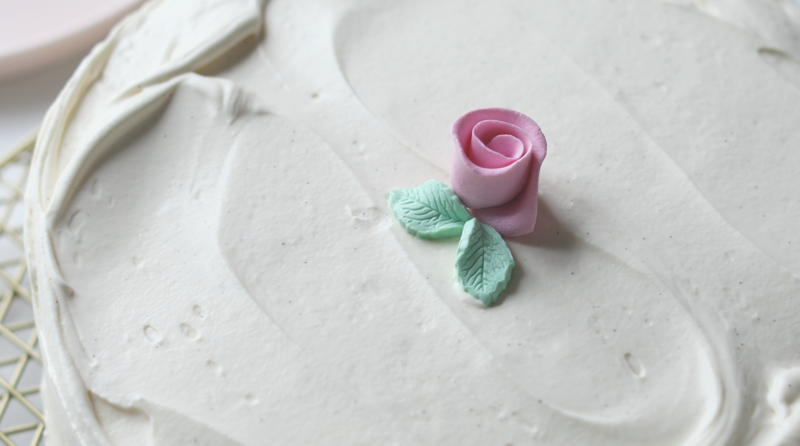 Decorate with a marzipan rose and leaves if you wish too.